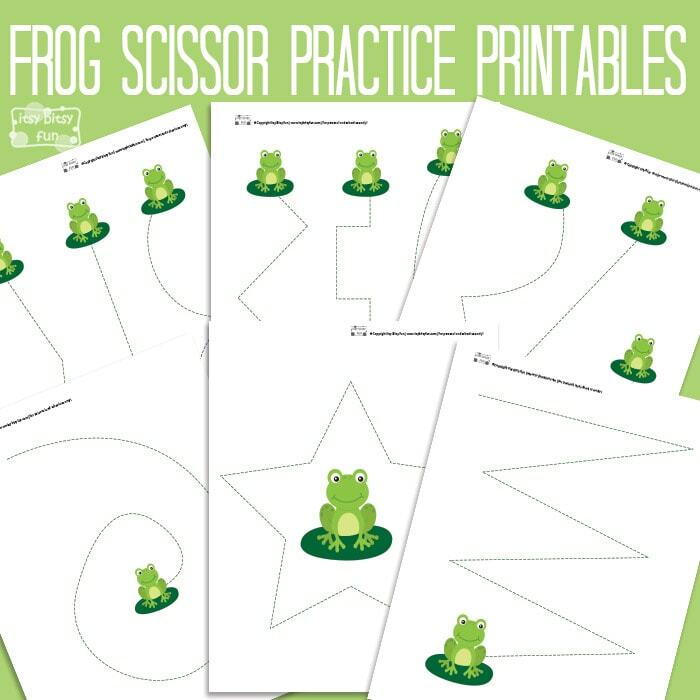 These Frog Cutting Practice Worksheet are great scissor or pre-writing skill practice! Hop, hop let’s cut with the frogs! These frog cutting practice worksheets are perfect for spring time! I really love making worksheets for kids and frogs are one of my favorite animals to write (and create) about. These will be perfect for kids in preschool or kindergarten that are just getting to know how to work with scissors. Just download and print and you’re ready to go! Get you free printable Frog Scissor Practice here. Love learning about life cycles? Do check the frog life cycle worksheets or a life cycle of a butterfly worksheets!